Special Cleansing Gel: A foaming gel cleanser formulated with Calming Balm Mint and lavender extracts to soothe the skin. Review here! Multi-Active Toner: A hydrating, refreshing facial spray. Review here! Conditioning Body Wash: A rich, skin conditioning, soap-free, botanical gel cleanser. Review here! This giveaway has a retail value of $350. To enter, use the Rafflecopter widget below. Good luck! This giveaway ends on Tuesday, August 20 at midnight. ONE WINNER will be chosen AT RANDOM on Wednesday, August 21 and notified by email. Maximum of SIX ENTRIES (one for each way listed above). Multiple entries will be disqualified. Giveaway is open to US residents only. I make sure to wear sunscreen every single day, whether I leave the house or not. I am also very disciplined with making sure I wash my face before going to bed. I have a simple skincare regime that I do twice a day, and that keeps my skin clear and in good condition. I am finally starting a consistent skin routine - none of the dabbling in this product or that for a time and then neglecting my skin for a time! Training is necessary! I drink lots of water and wash my face everynight. And then you my skincare in the am and pm. nothing special, a little vaseline intensive care during the winter on the dry spots! I wash my face 2x a day and never missed using sunscreen during the day. I use sunscreen all year around. I make sure i wash my face every night, although I'm not always successfull. But when i do i follow with toner, Serums, both eye and face, and also creams. By slathering on the sunblock. I keep my skin in good shape by using moisturizer and sunscreen. I wash it three times a day since it gets so greasy. I avoid sun exposure as much as possible, stay hydrated, take vitamins and minerals recommended for skin and try to eat fresh fruits and veggies. By being very careful of what type of products I use on it. I keep it in good shape by moisturizing with natural moisturizers such as almond oil. 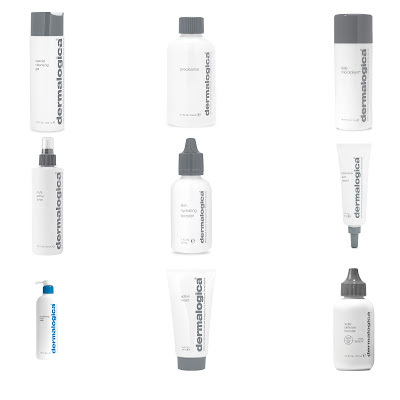 Dermaligica is a fantastic product line to maintain a healthy skin. Staying hydrated, rested and finding ways to keep your stress level down are key to keeping your skin beautiful from the inside out. I moisturize, sunscreen lots of water and a satin pillowcase. Plus, always looking for a wonder cream or serum. Cleanse twice daily,use a moisturizer with an SPF30 in the day,exfoliate once a week and drink lots of water. I've been using more organic & natural products. Light exfoliation only 1-2x a week. Moisturize every day after cleansing& be consistent! I try to keep my skin in good shape by wearing sunscreen, a good under eye cream, exfoliating twice a week, and drinking lots of water and eating lots of veggies and fruit. I moisturize with a lotion containing spf to avoid sun damage. I use a gentle cleanser, moisturize and exfoliate every other week. I drink lots of water and apply sunscreen daily. I am always looking for good, moisturizing products that are nice to sensitive skin. I am obsessed with using sunblock before I do any outdoor activities!! I always remove make up and sunscreen every night. By sticking to a good skincare regimen. Precleanse is a godsend!I use it every few days and it keeps my pores clear as only a facial can do. I use Dermal Clay Cleanser every day also, and it's great for my oily skin. Dermalogica is amazing! Besides that, the best thing that happened to my skin was that i had a child. Since pregnancy, my acne prone skin has been so clear! I keep it clean and exfoliated, then apply treatment according to its needs. I drink lots of water, use a cleanser in the morning and evening, and moisturize. I use an oil based face cleanser and religiously use a night cream. I wash my face twice daily, tone and moisturize, but most of all I try to avoid the sun, but even so I wear a Broad Spectrum SPF daily also. I use a gentle cleanser twice per day, moisturize day and night and always wear sunscreen. I honestly could do a lot more. I use a gentle cleanser, toner, oil free moisturizer and eye cream. I drink a lot of water, get a good night's sleep, always moisturize and try to remove my makeup every night. I also try not to get a lot of sun and if I am out, I wear sunscreen. Lots of moisturizer, and skin routine in the morning and before bed. I keep my skin in shape by eating healthy, drinking plenty of water, ALWAYS washing my makeup off at night, moisturizing, and using an SPF lotion daily! wash my face every night and lotion! I try to get at least 8 hrs of sleep per night. What I do on a daily basis is wash my face day & night, use a toner after to balance out my skin, moisturizer with a light face cream, an eye cream, some SPF and to finish I always put on some lip balm to hydrate the lips as well. Once a week I like to exfoliate and do a face mask. Stay out of the sun. Plus I cleanse twice daily, always use sunscreen and moisturizer. Add toner, retinol and placenta cream for night. I wash my face morning and night to keep it clean. To keep my skin in good shape, I wash my face twice a day, then apply toner, serum, eye cream and moisturizer (with SPF in the morning)! I double-cleanse with an oil first always! My skin is not in good shape, really need a good routine. I use sunscreen every day. Take that makeup off before bed! I use a sunscreen lotion under my makeup every day. Washing my face twice a day, using a weekly mask, and moisturizing! Moisturize daily, and exfoliate bi-weekly. Exfoliating is #1 is keeping up my skin. I take a vitamin for skin, hair, and nails and I also stay well hydrated. I moisturize daily and exfoliate weekly. I drink a lot of water and try really really hard not to touch my face! Water, Sunscreen, Moisturizer,and Vitamins! Thanks!!! I make a point of removing my makeup before I go to bed and use good moisturizers - these two things have made a huge difference in the condition of my skin. 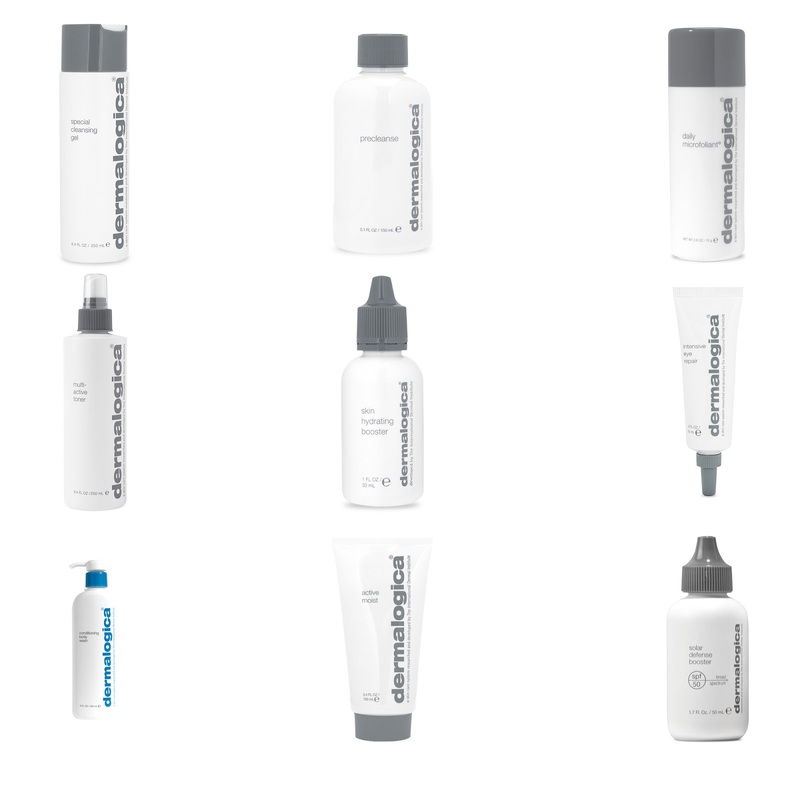 I keep my skin in good shape by using dermalogica products. I keep my skin in good shape by cleansing/moisturizing morning and night and a weekly mask or two. Oh, and a facial brush to keep my skin exfoliated. Drinking plenty of water and making sure I wear sunscreen! I drink lots of water, take my make-up off every night but my skin still isn't in the greatest shape. Use coconut oil as a moisturizer. It's awesome! I moisturize often and wear sunblock year round! I am using Dermalogica Daily Microfoliant on my skin and its gentle cleans my face after this scrub my skin looks soft, clean and smooth.